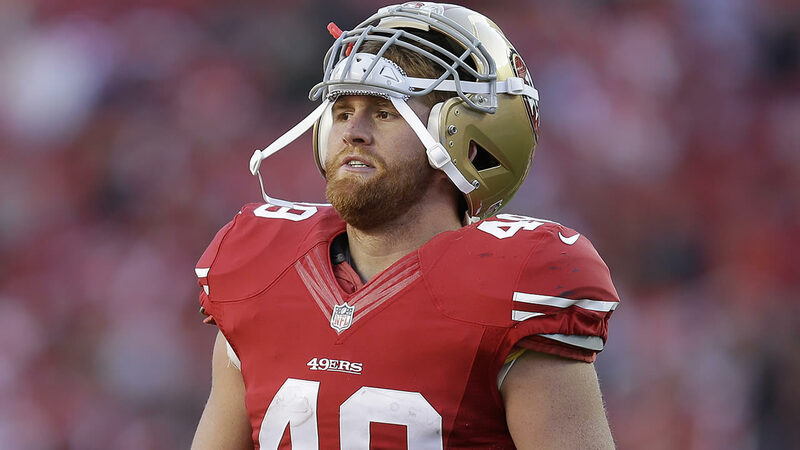 SAN FRANCISCO -- San Francisco prosecutors have charged former 49ers tight end Bruce Miller with multiple counts of assault and battery after police say he attacked a 70-year-old man and his son while intoxicated. The San Francisco District Attorney's office said it filed seven charges against Miller Thursday, including assault with a deadly weapon. Police say Miller tried to enter a hotel room occupied by an elderly couple on Monday. The couple's son was staying in the next room, and police say Miller attacked him and his 70-year-old father after the son told Miller he was at the wrong room. Miller allegedly punched the father. Prosecutors say the deadly weapon was a cane. A call to Miller's attorney, Joshua Bentley, was not immediately returned. Miller's agent, Jack Reale, said there was more to the case than meets the eye, but declined additional comment. The 49ers released Miller on Monday. Click here for more stories about the San Francisco 49ers. Was counseling enough for former 49er Bruce Miller?